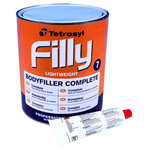 The Color Cure range of professional lightweight bodyfillers from Tetrosyl are ideal for all types of repairs from minor imperfections to larger dents. 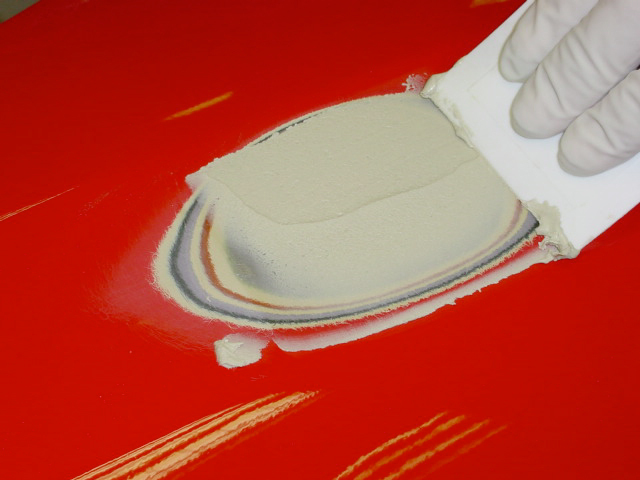 Each filler has been carefully tinted to ensure correct product usage. 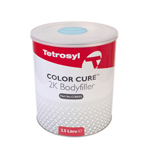 Color Cure 2K Bodyfiller, guide colour blue, is premium grade lightweight filler for use on numerous substrates. 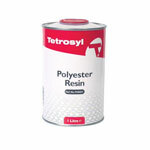 Setting in minutes, it creates an easy to sand, tough and smooth repair. Color Cure 2K Fibrofil, guide colour yellow, is a tough bodyfiller reinforced with glass fibre to give a solid and vibration resistant repair. 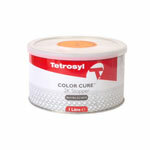 Color Cure 2K Stopper, guide colour orange, is a final top coat filler to eliminate minor repairs, dents, scratches or other imperfections. 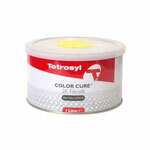 To complete the full range Color Cure fillers have been specially formulated for high technology substrates. They include plastic, guide colour grey, is to repair defects on bumpers, trims and most plastic panels. Galvanised filler, guide colour green, is for use on galvanised steel substrates. 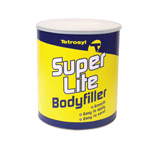 Aluminium bodyfiller, guide colour silver, is a base filler for use on aluminium surfaces. Carbon Fibre filler, guide colour black, is for repair on non structure carbon fibre surfaces. 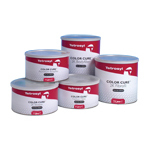 Color Cure fillers offer excellent adhesion, are easy to sand & provide a smooth quality foundation for impeccable results with aqua-t waterborne basecoat.